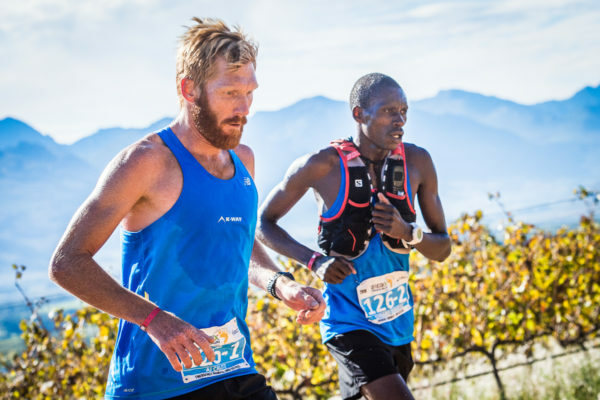 Perfect planning saw Team K-Way Wintergreen’s Bernard Rukadza and AJ Calitz claim their 3rdAfricanX Trailrun presented by ASICS title in the men’s team race on Sunday, 29 April 2018. Starting and finishing at Retreat (Boschendal Wine Estate) Stage Three of the AfricanX Trailrun pitted runners against a 20km – 22km route. Team K-Way Wintergreencompleted the three days of trail running (a combined distance of +- 86km) in a combined time of 07 hours 08 minutes 07 seconds. Team #gearupgetout is #timetoplay’s Lucky Miya and Thabang Madiba came in 2nd, while Team Old Mutual Wealth’sTimothy Chambers and Jonathan Black finished 3rd. In the women’s race Team KeyHealth Neverest/K-Way’s Carla Van Huyssteen and Nicolette Griffioen’s combined finishing time of 08 hours 36 minutes 34 seconds (after three days of running a combined distance of +- 86km) firmly secured them the top spot on the podium. “We pushed a little on Stage One and really enjoyed the trails. This was definitely a positive change to the event. Stage Two was long. On Stage Three we pushed again, just focussing on getting it done. Carla and I raced our first AfricanX together in 2015. My focus is now on endurance racing,” says Griffioen. 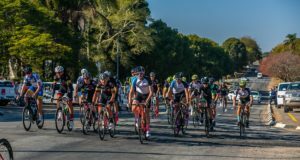 Team Rehidrat’sChantel Nienaber and Katya Soggot came in 2nd, while Team Tailwind Ladies’ Danette Smith and Kate Mapham finished 3rd. In the mixed team race, Team Crumb’sDaneil Feldmann and Davide Del Fante claimed victory in an overall combined time (after three days of racing +-86km) in 09 hours 20 minutes 38 seconds. Team Gauteng Diesiel Engines’Takalani Ndandani and Mazu Ndandani came in 2nd, while Team ATS’ Leani Grimes and Jacques Buys finished 3rd. The three routes were planned in such a way that the runners were treated to a different breath-taking scenic route each day. For additional information on the AfricanX Trailrun presented by ASICS visit www.stillwatersports.com, contact Stillwater Sports on 082 991 0045 or email entries@stillwatersports.com.